The North East has long proved fertile ground for rearing rare breeds, with recent years bringing a boom in some of the most exciting the country has to offer. Scott Shand and his wife Shelagh have been at the heart of the rise, launching their company Caledonian Bison into the market in 2010. 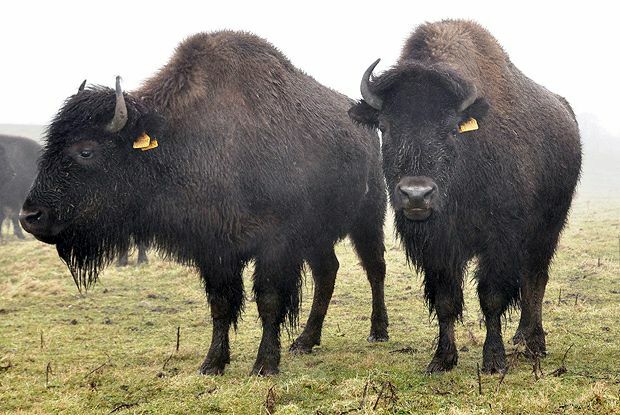 With a herd of more than 40 cattle, their farm at Muchalls, near Stonehaven, produces bison meat that has been developed to the best possible standards, with research showing that its cattle produce meat that’s low in fat and high in protein, as well as being rich in Omega 3 fatty acids, zinc and iron. Elsewhere, the demand and taste for Wagyu beef is also on the rise, with Scottish beef producers beginning to cross Aberdeen Angus, as well as Highland and shorthorns, with Japanese Wagyu bull to create what producers ultimately hope will become a brand of Scottish Wagyu – capitalising on the North East’s reputation for great beef with the high demand for one of Japan’s most popular meats.